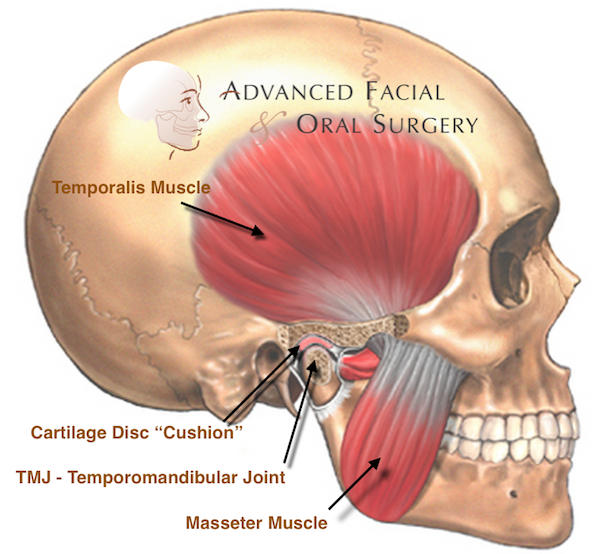 No one treatment can resolve TMJ disorders completely and treatment takes time to become effective. Dr. Sinn can help you have a healthier and more comfortable jaw. You might clench or grind your teeth, tightening your jaw muscles and stressing your TM joint. You may have a damaged jaw joint due to injury or disease. Injuries and arthritis can damage the joint directly or stretch or tear the muscle ligaments. As a result, the disk, which is made of cartilage and functions as the “cushion” of the jaw joint, can slip out of position. Whatever the cause, the results may include a misaligned bite, pain, clicking or grating noise when you open your mouth or trouble opening your mouth wide. There are various treatment options that Dr. Sinn can utilize to improve the harmony and function of your jaw. Once an evaluation confirms a diagnosis of TMJ disorder, Dr. Sinn will determine the proper course of treatment. It is important to note that treatment always works best with a team approach of self-care joined with professional care. If your TMJ disorder has caused problems with how your teeth fit together, you may need treatment such as bite adjustment (equilibration), orthodontics with or without jaw reconstruction, or restorative dental work. Surgical options such as arthroscopy and open joint repair restructuring are sometimes needed but are reserved for severe cases. Dr. Sinn does not consider TMJ surgery unless the jaw can’t open, is dislocated and nonreducible, has severe degeneration, or the patient has undergone appliance treatment unsuccessfully. Please call Advanced Facial & Oral Surgery at 817-255-3223 if you have any questions.